Edward Savant | Savant Investment Advisers, Inc.
Edward H. Savant began his career in financial planning in 1979 after experiencing first hand a need for the profession after the death of his father. He started and established Savant Investment Advisers, Inc. and Savant & Associates, Inc. in the early 1980s. Edward was a financial educator in Illinois & Florida. He was the author of Smart Money Strategies, and you may have read his articles on The Difference Between Saving and Investing, How to get Rich and Stay that Way, Wealth Transfer Strategies, Protecting Your Life Savings, Retirement Planning the Easy Way, and Investing Basics. Over 32 years, Mr. Savant developed financial plans for many individuals, tailoring each plan to the economic circumstances, personal financial goals, ages, investment attitudes, family and business obligations and needs of his clients. He helped some of his clients reduce taxes, increase income and preserve wealth. His firm also acts as money manager for individuals and organizations by developing asset allocation and investment strategies. He had a Masters of Business Administration (MBA) from the University of Chicago and was a Certified Financial Planner (CFP), a Certified Divorce Planner, and a candidate in the Chartered Life Underwriter program from the American College. Separately, he held the FINRA Series 24 registration and offered securities through Royal Alliance Associates, Inc. He was a licensed insurance broker, and a Chartered Financial Consultant (ChFC). Mr. Savant taught Family Finance and Money Management, Small Business Management, Retirement Planning and Legal Tax Avoidance in the Adult Education Programs at Purdue University. 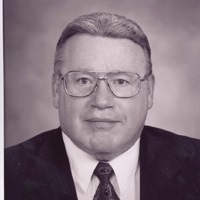 He served on the adjunct faculty of the College for Financial Planning and taught Accounting Principles and Basic Investing in the undergraduate program at Saint Xavier University. Edward Savant is not registered with Royal Alliance Associates, Inc. Unfortunately, Edward passed away in 2011. The business continues under the direction of Lisa D. Cameron, Ed's daughter.